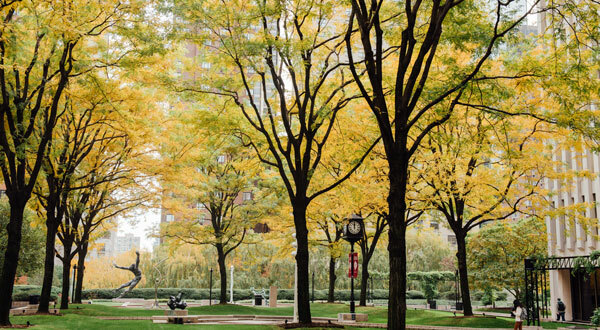 When we say New York is our campus, we really mean it. From Arthur Avenue up in the Bronx to Wall Street down in the Financial District, the city is your classroom. Questioning your assumptions takes intellectual courage, but your classmates and faculty will be there to support you. The New York skyline is just one of the many advantages to living on campus at Lincoln Center. You can make it here. We can help. We’re a Jesuit, Catholic university. Our spirit is one of radical engagement—with profound ideas, with communities around the world, with injustice, with beauty, with the entirety of the human experience. 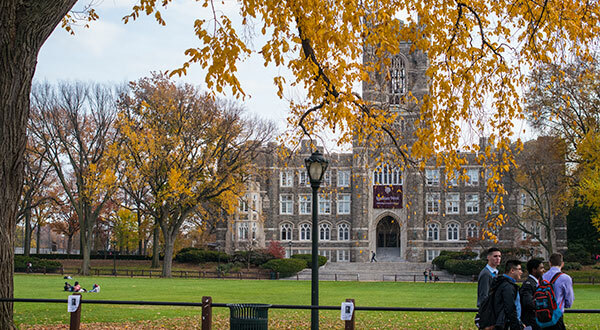 This is what makes us Fordham: We’re a tight community in New York City, we value and educate the whole person, and our graduates tell us that Fordham has shaped them, has led them to make positive changes in their lives and in the world. When you study history, you will see that across centuries, one of the great purposes of human life is to wonder about life, the universe, and creation.